« My Saffron Bun Fish & Coast Week! There we were in the front row of the marquee at the Falmouth oyster festival held last week with a pint of Betty Stogs in hand and a camera in the other. 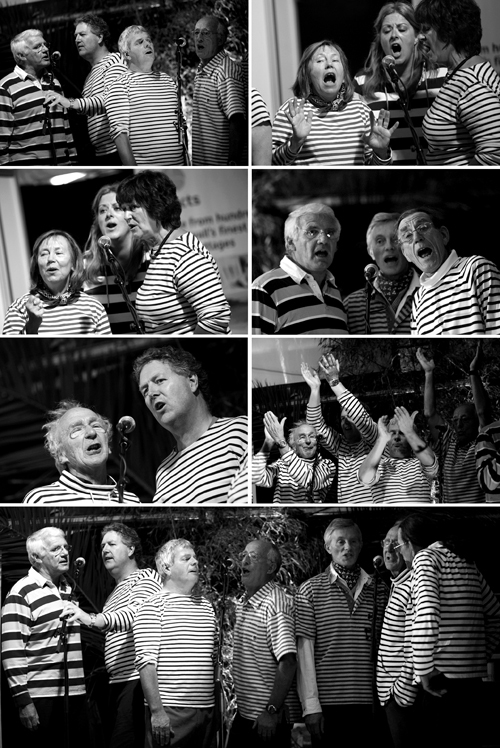 How could I resist photographing these lovely Cornish folk singing wonderful songs of the sea from days gone by. ‘Falmouth Shout’s name comes from their strong connection with Falmouth Lifeboat. The ‘Shout’ being a lifeboat call or maybe just the way they sing they say on their website. Falmouth shout will liven up any event and to date have raised over £40,000 for the RNLI. So here are a few pictures of some of them singing their hearts out. And please check out the short video I shot with special guest featured towards the end!